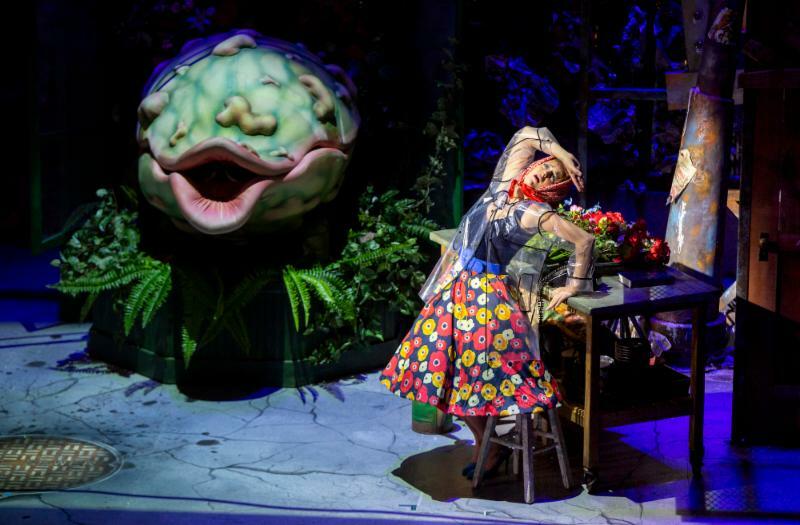 Little Shop has opened and the Fall MFA Dance Thesis Concert opens this week! 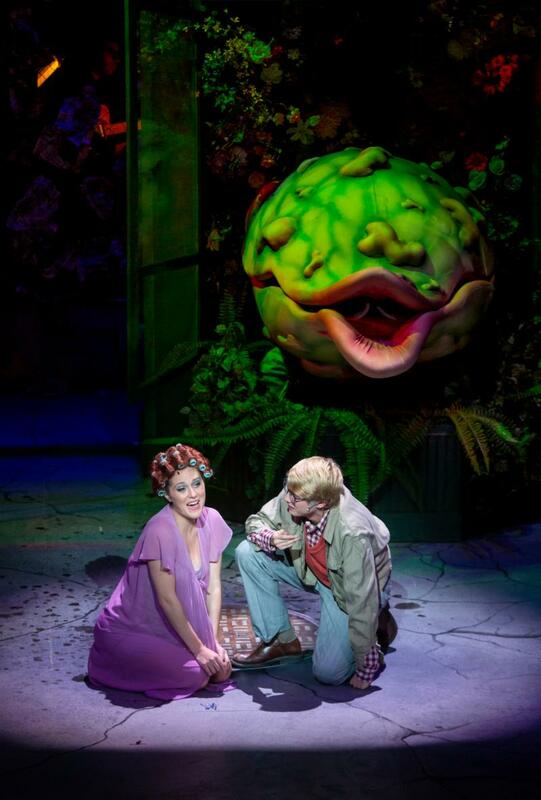 Little Shop of Horrors opened on Friday! 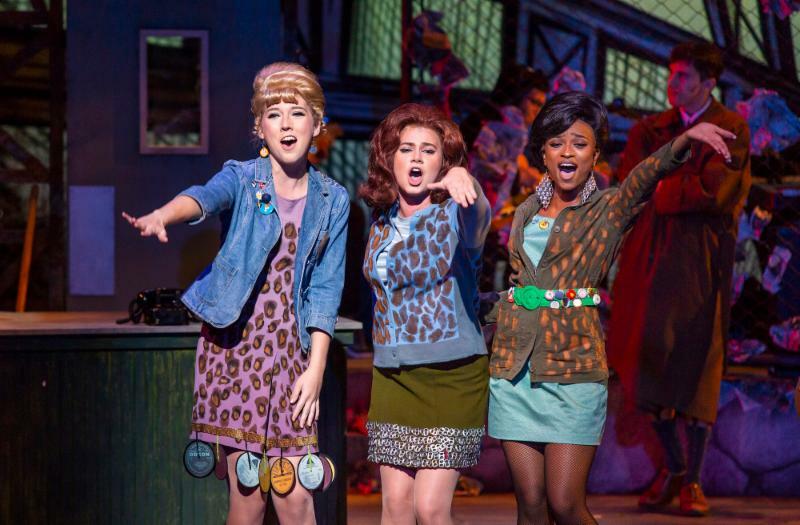 Congratulations to all those involved in producing this musical extravaganza! Check out some preview photos below. 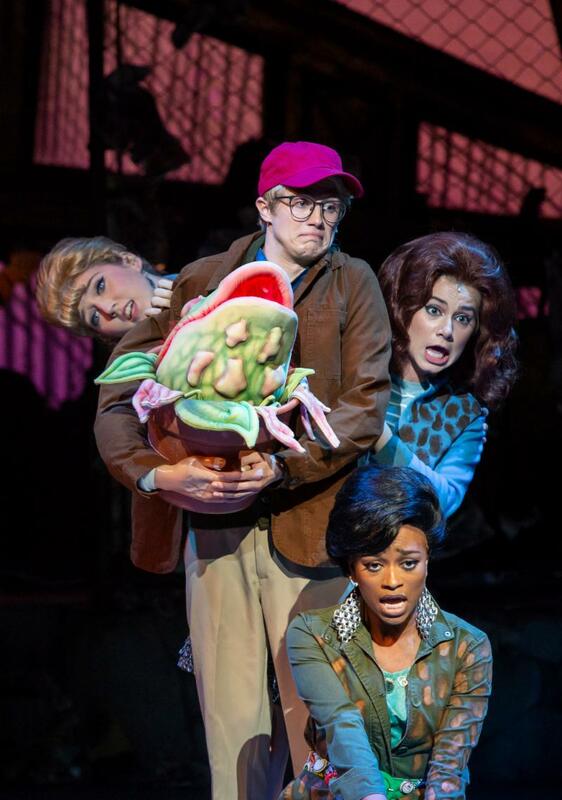 If you haven't seen it yet, get your tickets here! This week, the Fall MFA Dance Thesis Concert opens. 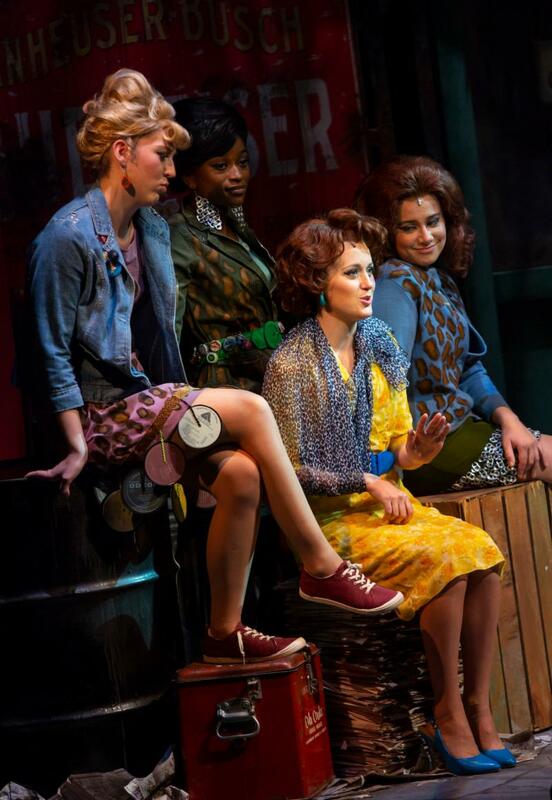 Get to know the choreographers, Stacey Carlson and Christine Hands, in the feature story below. Tickets are available here! We are also thrilled to announce our keynote playwright for the Fearless New Play Festival coming up next spring: nationally renowned playwright Sheila Callaghan will be joining us for a keynote speech and we will present a staged reading of her brand new play in development! Check out the story below to find out more about Sheila, our selected alumni plays, and what's coming up for the festival. This newsletter is chock-full of on- and off-campus events, news, and opportunities, so scroll down to read more. We never stop here at TDPS! See more details under Feature Stories below! As part of our year-long exploration of the Triumph of Isabella, the International Program for Creative Collaboration & Research (IPCCR) is delighted to bring Dr. Maria Berlova to our campus to talk about the work of Russian stage director, Yevgeny Vakhtangov (1883-1922). Vakhtangov devised a new artistic method, which combined Stanislavsky’s psychological approach and a highly theatrical form of expression he termed fantastic realism. 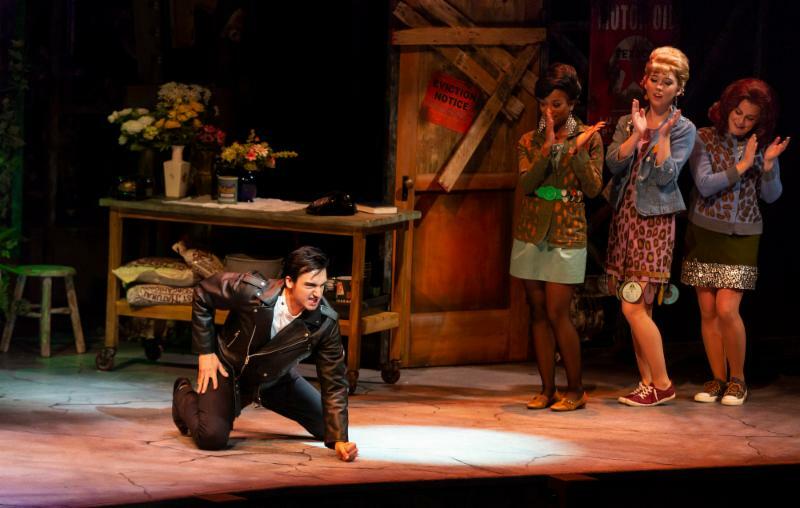 His work influenced generations of theatre artists across the globe. In Rockfish, Sydney Lemelin explores her half Chinese identity through dance and theater. Research for this piece brought her to old photos, an unused Mah Jong set and half-remembered stories. Tickets and information here. Tickets will be available on Friday, October 12. UTAS will be holding two more town halls this semester on October 15 and November 19 . 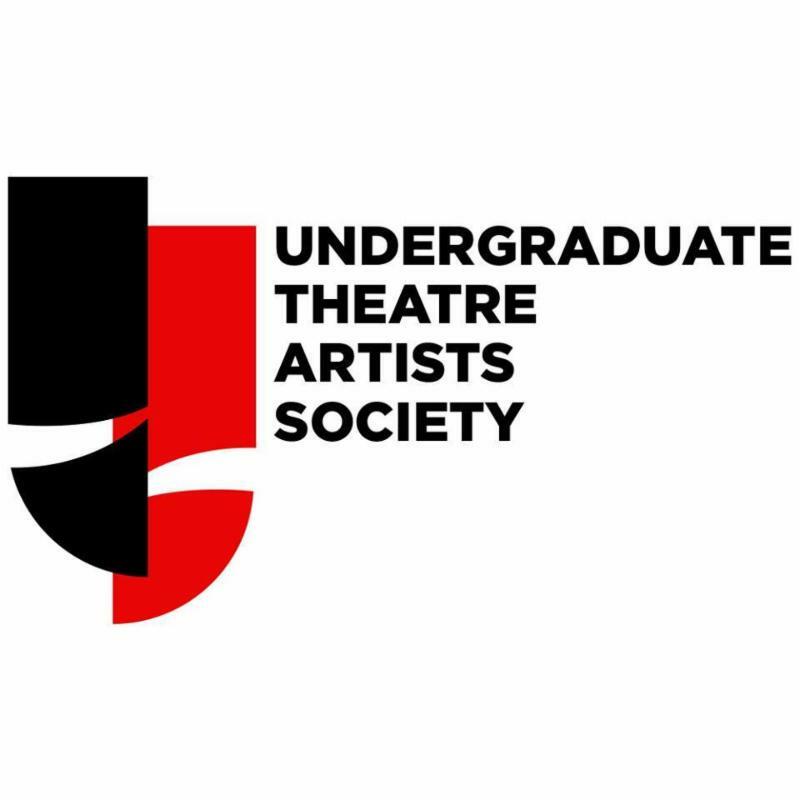 Both meetings will be at 12PM in Mulitz-Gudelsky Rehearsal Room (Room 3730). The African American History, Culture and Digital Humanities Initiative invites students to their first national conference on Black digital humanities to be held on UMD's campus, Friday, October 19 at Samuel Riggs IV Alumni Center and Saturday, October 20 at Edward St. John . Students and faculty are welcome to attend. AADHum is offering day passes to undergraduates, which can be picked up the day of at any registration table with ID. Faculty can register here . Check out the details and schedule here. Share your concerns with Dean Thornton Dill surrounding campus climate and safety. Free food and drink! More information here. 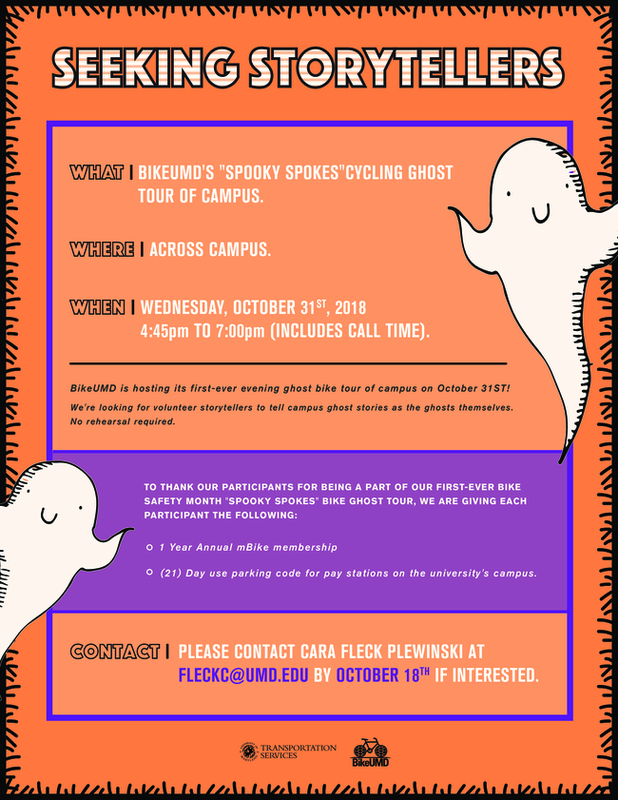 BikeUMD is hosting its first-ever evening ghost bike tour of campus on October 31! They are looking for storytellers to tell campus ghost stories as the ghosts themselves. No rehearsal required. To thank participants for being part of the tour, they will give each storyteller a 1-year annual mBike membership and a 21-day use parking code for pay stations on the university's campus. What a great deal! Please contact Cara Fleck Plewinski at fleckc@umd.edu by October 18 if interested. Go support Team TDPS at Illyria, or What You Will at Avant Bard! 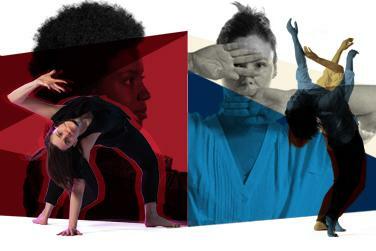 The Fall Dance Season officially kicks off with the Fall MFA Dance Thesis Concert, with an evening length concert with works by Christine Hands and Stacey Carlson. We sat down to talk with them about their process and how their dance works came to fruition. Christine Hands has always wanted to make a piece about Hamlet ever since her time in London at the Richmond American International University where she studied Shakespeare and his works. Hands was inspired by the lyrical nature of Shakespeare’s prose and wanted to explore the possibilities of creating a Hamlet in the context of dance theater in which movement, multi-media, and text are interwoven to view this seminal work through a new lens. Hands also double majored in English and Dance while at the University of Iowa so her familiarity with creating work of this type is not her first foray into combining Shakespeare and movement. She worked with Shakespeare’s text prior to arriving at UMD while dancing in Chicago by deconstructing the text and interweaving movement. Hands’ interpretation for her thesis also pulls from a sci-fi aesthetic as a means of including dynamics of social structure to create an alternate universe. She states, “We can create the reality we want.“ Informed ideas of dystopia and idealism are present in the piece and Christine readily admits that the most recent Star Wars film was a helpful motivator in its use of a diverse cast and a strong female lead. This dance theater version of Hamlet is performed by five dancers, including Hands. 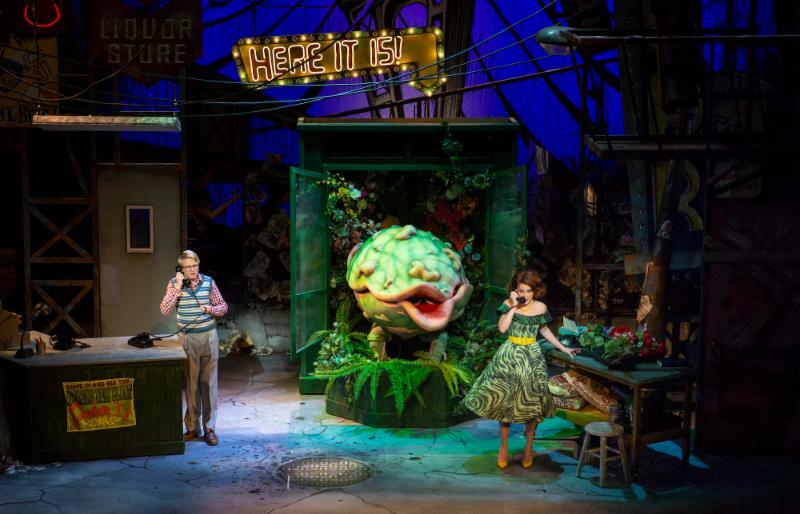 All performances include audio description, ASL interpretation, and a pre-show touch tour beginning 1 hour and 15 minutes before show time. The Clarice Smith Performing Arts Center is wheelchair accessible. We are thrilled to announce that nationally renowned playwright Sheila Callaghan will be our keynote playwright for the 2019 Fearless New Play Festival! Sheila will present the keynote speech on Thursday, March 7, followed by a staged reading of her new play in development. Sheila Callaghan’s plays have been produced and developed with Soho Rep, Playwright’s Horizons, Yale Rep, South Coast Repertory, Clubbed Thumb, The LARK, Actor’s Theatre of Louisville, New Georges, The Flea, Woolly Mammoth, Boston Court, and Rattlestick Playwright’s Theatre, among others. 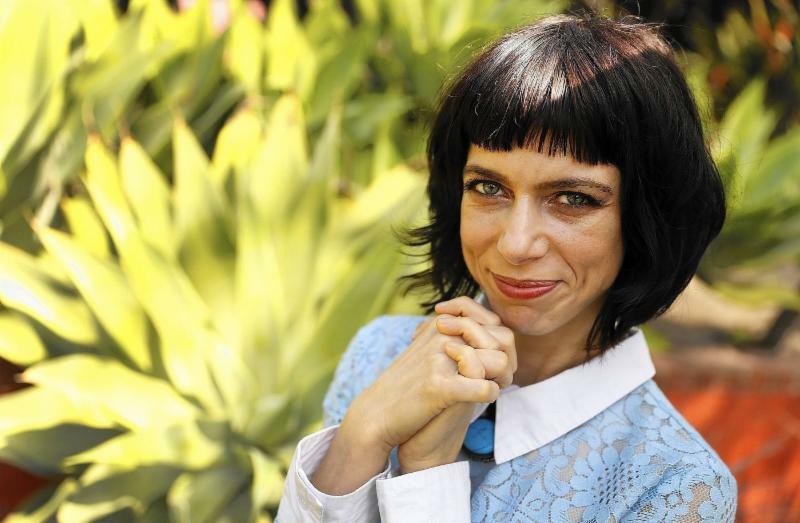 She is the recipient of the Princess Grace Award for emerging artists, a Jerome Fellowship from the Playwright’s Center in Minneapolis, a MacDowell Residency, a Cherry Lane Mentorship Fellowship, the Susan Smith Blackburn Award, and the prestigious Whiting Award. Congratulations to our alumni whose plays have been selected for the festival! These plays will be presented on the third night of the festival on Saturday, March 9. 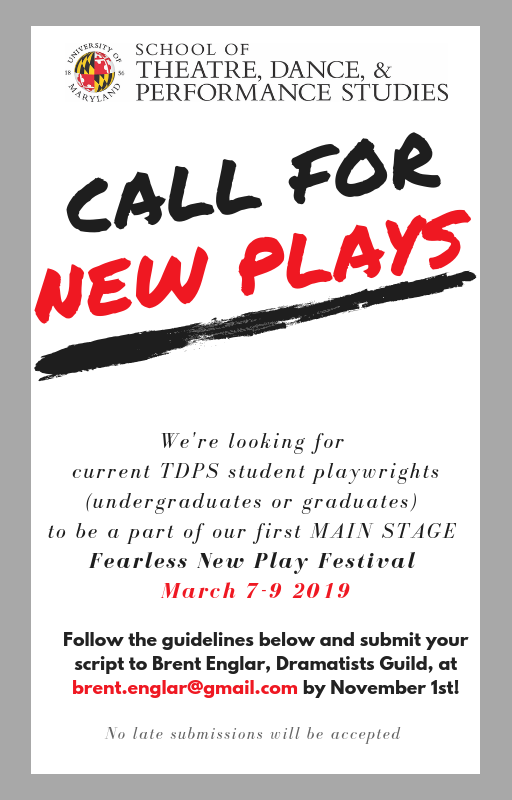 Seeking submissions from current students for the Fearless New Play Festival! Congratulations to PhD candidate Po-Hsien Chu on being selected as one of eight award recipients for a prestigious dissertation scholarship from the China Times Cultural Foundation! 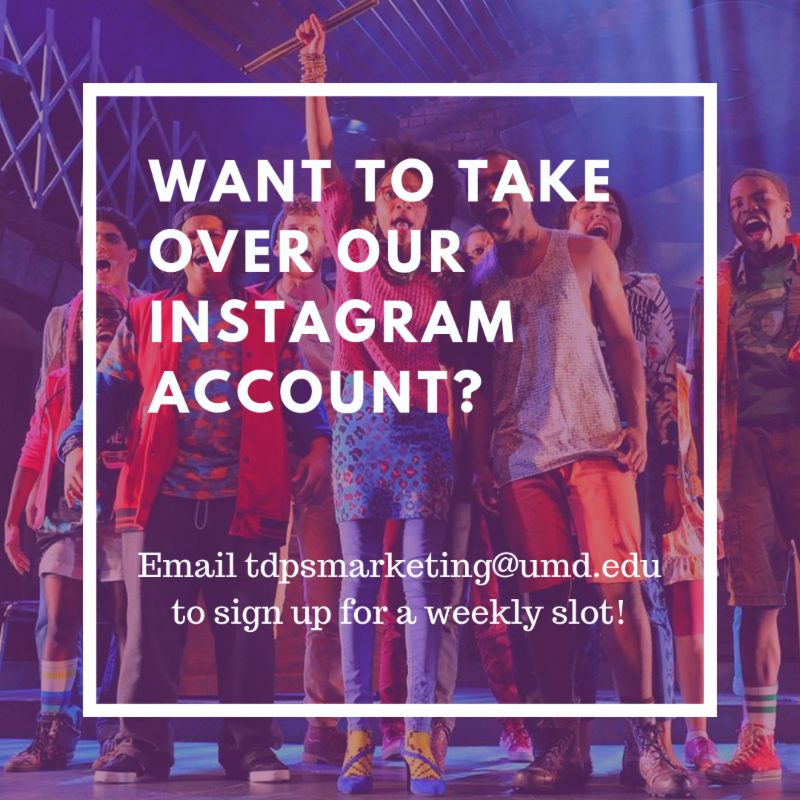 The Triumph of Isabella was featured in the UMD’s Diamondback and Writer’s Bloc. Click the links to read what these reviews had to say about our multimedia immersive experience! 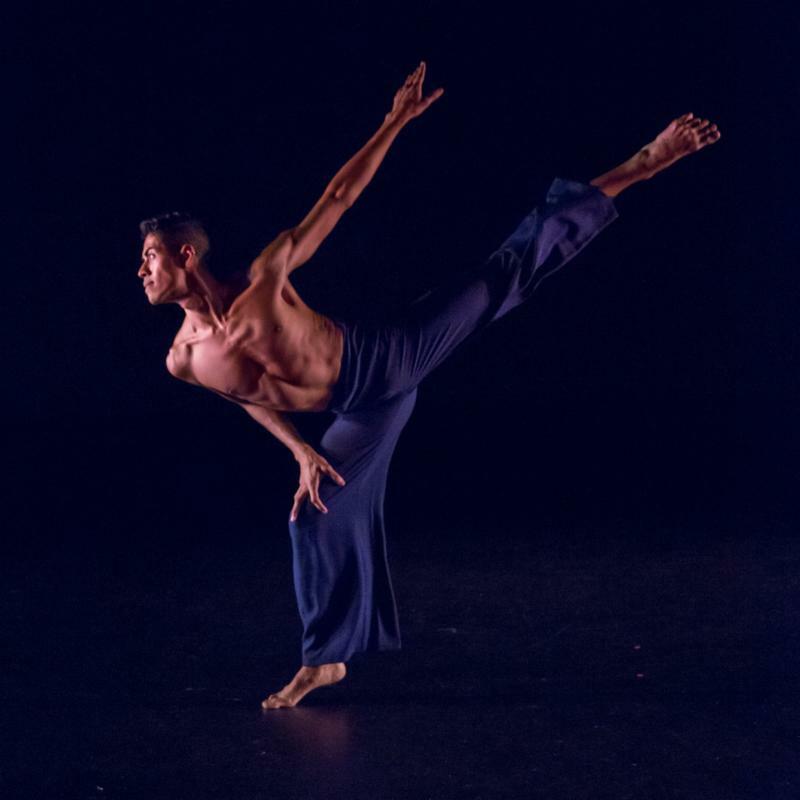 MFA Dance candidate Gabriel Mata will be featured as a choreographer and performer in San Jose, CA on October 12 and 13. sjDANCEco has commissioned Gabriel as a choreographer to create a new work with live music by the San Jose Chamber Orchestra. He will also perform an excerpt from his solo DREAMING, a restaging of Colin Connors (Limón Dance Company Artistic Director) Corvidae, and a solo from José Limón’s Mazurkas. Recent alumnus Sudesh Mantillake (PhD '18) will perform in Masks and Myths: Devils and Dancers from Sri Lanka in Chicago this weekend. 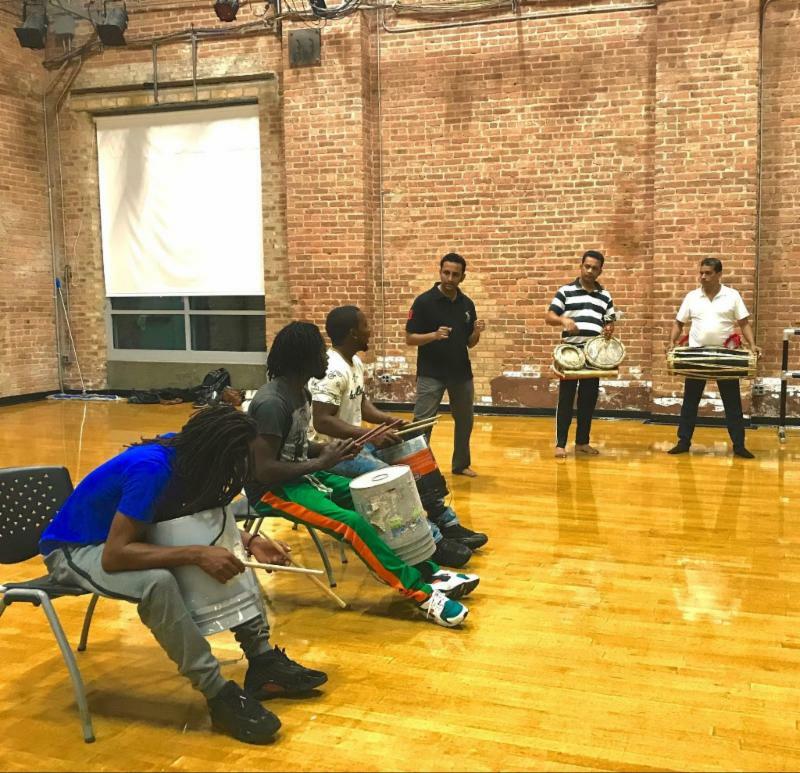 This piece explores the individual voices that make up Chicago's fabric, as well as the connections that are found between people and across disparate regions of the globe--one such connection being the one between Sri Lankan artistry and Chicago's own bucket boys, who are iconic and essential to art performance in the city. This performance is an extension of Sudesh's PhD dissertation research. Fame: The Musical is seeking bilingual musical theater actors and dancers for its premiere at GALA Hispanic Theatre in Washington, DC in May 2019. The prodcution will be directed by Luis Salgado, who directed and choreographed the 2016 Helen Hayes Award winning In The Heights en Español at GALA. Check out more details on the flyer. 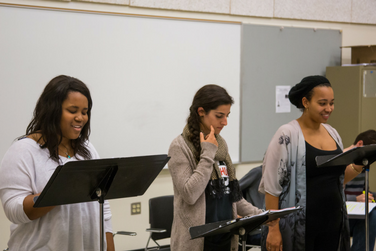 19 the Musical - Through the 4th Wall, a company founded by alumna Jennifer Schwed (BA American Studies '96) is in the process of creating an original musical called 19 the Musical. They are currently performing vignettes from the show in and around the Washington, DC area. More information and performance dates can be found here. Samba Carnival party at MilkBoy ArtHouse - Samba Jig Productions, co-founded by Kate Spanos (PhD ‘16), is bringing the energy of Rio’s samba carnival festivities to MilkBoy ArtHouse in College Park on Saturday, October 13. 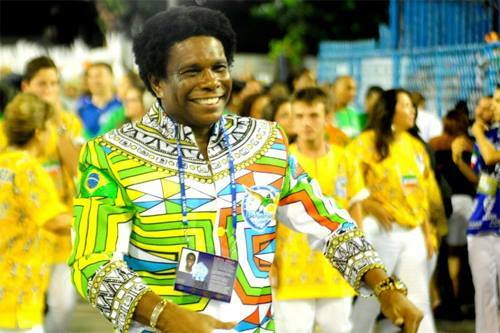 Neguinho da Beija-Flor is one of the most iconic and charismatic samba parade singers from Rio de Janeiro. Come dance with us! General admission $35, students $15 (available at the door). More information at sambajig.com/neguinho.